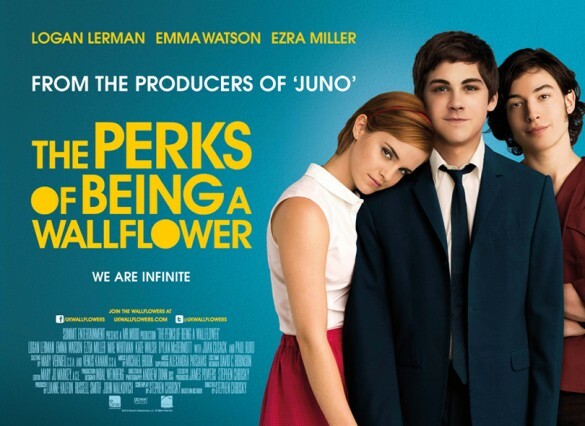 Adapted from the book of the same name, “The Perks of Being a Wallflower” is a sensitive and moving coming-of-age film. It follows the story of Charlie, (Logan Lerman) an introvert returning to school after the suicide of his best friend. Charlie doesn’t interact with people easily and is shown to be quite isolated which is emphasised nicely by the voice-overs throughout the film. But after a lonely few days, Charlie finds himself befriended by two seniors, Patrick (Ezra Miller) and Sam (Emma Watson) and is accepted into their circle of friends “an island of misfit toys” as Watson’s character describes them. If there has ever been an embodiment of awkwardness, it is Lerman’s portrayal of Charlie. Quiet and reclusive, the film sees Charlie grow and mature but also tiptoes around the darker themes of child molestation – which keeps the viewer constantly intrigued about his character. Emma Watson too creates a believable and delicate character out of Sam. She’s quirky and listens to the Smiths. Whilst ultimately a romantic at heart, Sam is just a teenage girl growing up too fast. Unlike in Charlie’s case however, the film is more open to the darker themes surrounding her character. However the breakthrough character of the film is Sam’s audacious stepbrother Patrick. Openly gay, Patrick is witty, intelligent and holds a relaxed composure for the most part of the film with his devil-may-care attitude. But Miller is given a deeper role than just the stereotypical “gay best friend” and despite his character arc being unexpected, it was wonderfully executed. Although the themes of child molestation, homophobia and suicide are whispered about at the beginning, towards the end it does not shy away. “The Perks of Being a Wallflower” is a quirky and thoughtful film which incidentally, benefited greatly from having a brilliant soundtrack. Despite its sweet and innocent visage, it is compelling and verges on disturbing in places. Although primarily aimed at a target audience – teens – I would recommend adding this one on to your list regardless of your age. We were all teenagers once after all.